Outgoing Fine Gael TD Michael D'Arcy is one of three candidates on the party ticket in the five-seat Wexford constituency. D'Arcy first became active in local politics in 2003 when he was co-opted on to Wexford County Council to replace his father, former Fine Gael TD Michael D'Arcy Snr. 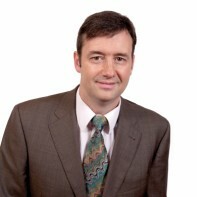 D'Arcy won Fine Gael's second seat in Wexford and 2007 and was appointed as the party's Deputy Justice Spokesperson shortly afterwards, a brief which held until he was reassigned as Deputy Spokesperson on Communications, Energy and Natural Resources in October 2010. As a youth, D'Arcy played inter-county football to a high level and was part of the Wexford team which won an All-Ireland junior football title in 1992.